Monsoon rains have caused intense flooding and devastating landslides in Myanmar. “The storms have resulted in destruction of houses, offices, and bridges,” says Khan*, a Christian worker. Flooding, not uncommon during monsoon season, has been worse this year in the wake of Cyclone Komen, which caused extensive damage in Rakhine state two weeks ago, according to BBC News. Christians have been among those impacted by the widespread flooding. Half of Rakhine State in central Myanmar has been flooded and 15 Christian households are now displaced, reports Khan. In Butitaung, five households of believers were destroyed and 200 believers displaced. RohingyaA primarily Muslim ethnic group, who live in the Buddhist dominated Myanmar. villages have also been greatly affected, but news from their area is difficult to obtain. All means of transportation to the area have been suspended. Ministry workers are unable to reach the affected families. Among those affected in Hakha, the capital city of Christian-majority Chin State, Kahn reports that about 50 believers’ houses were damaged or destroyed by landslides. In Falam City, a landslide damaged 10 believers’ homes and two stories of the Chin Christian Institute. It is estimated that hundreds of houses have been destroyed in Paletwa City in southern Chin state. “We’re still yet to receive more information, but a pastor’s wife told me that thousands of Christians here have been displaced,” Khan adds. Additionally, 20 people died in a boat accident caused by the flooding in Kalaymyo, southern Myanmar. 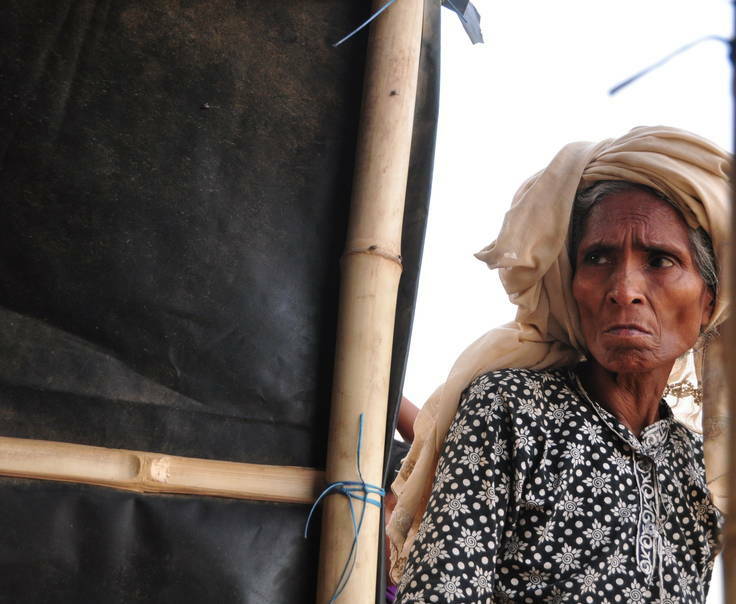 Thousands of villagers from 20 surrounding villages have also been displaced. Father, we lift before Your throne of grace the devastation that has taken place in Myanmar from Cyclone Komen and heavy monsoon rains. We pray for Your peace and comfort to surround our brothers and sisters affected by the flooding; that they would know Your presence as an anchor of hope. We pray for Your continued provision of food and shelter, and that the local churches would shine as beacons of the light of Christ to the suffering all around them in this time of need. In the aftermath of this devastation, we pray for Your healing from the emotional and physical trauma across the nation. In the midst of tragedy, we pray for the people of Myanmar to find refuge and hope in Christ. In the Name of Jesus, our shelter in all the storms in this life, Amen.